Want to feel like you are on vacation without leaving your bed? When you sleep on quality bedding, you feel like you’re at a five-star resort. Seeing as we spend eight hours a day there, your bed should be a comfortable haven. It should also be toxin free. Enter Cariloha Organic Sheets. These are made from eco-friendly bamboo and they are Oeko-Tex certified to be free of any harmful chemicals. Boy are they soft! I wasn’t surprised by this because I’m used to sleeping on bamboo bedding. I really don’t think there’s anything softer out there, it’s amazing. Even after I’ve stayed at a five star hotel, spoiled by extreme luxury–when I come home, I’m so grateful to slip into my soft, cozy bed. The set comes with a flat sheet, fitted sheet, two regular sized pillow cases, and a lifetime warranty. Because bamboo is a renewable source, it’s a great, eco-friendly material. Bamboo is grown without the massive amounts of pesticides used in cotton production. It’s a win-win for us and the environment. 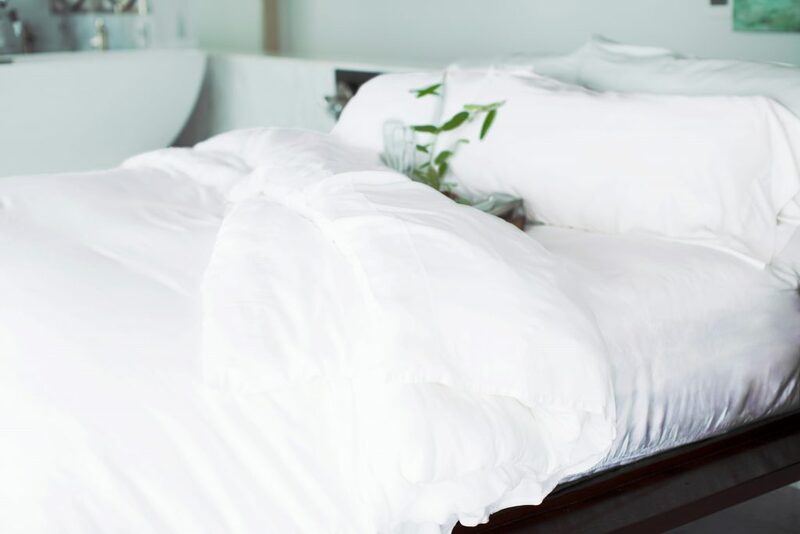 All of my bedding is organic and/or certified to be free of dangerous chemicals. This is really important to me. I try to eat all organic food, why wouldn’t I try to sleep on organic bedding? This just means that bamboo is breathable and helps keep you cool in the hot months, and warm in the cold months. It’s a year-round material. These are feather light. If you want more weight on you, just add a blanket or two until you reach your comfort zone. Even in summer, I like the weight of a blanket, so I have a variety of blankets with different thicknesses for every season. I also like to layer the blankets in the winter. If you want sheets that make you feel like you’re sleeping in a cocoon of softness, these are a great choice. They’re soft, eco friendly, and free of toxic chemicals. They make you feel like you are sleeping in a luxury hotel. They come in a high quality box with a nice presentation, so they would make an excellent gift. Valentines Day is right around the corner! Find the Cariloha Sheet Set HERE. Read more from the Modern Travelers here.